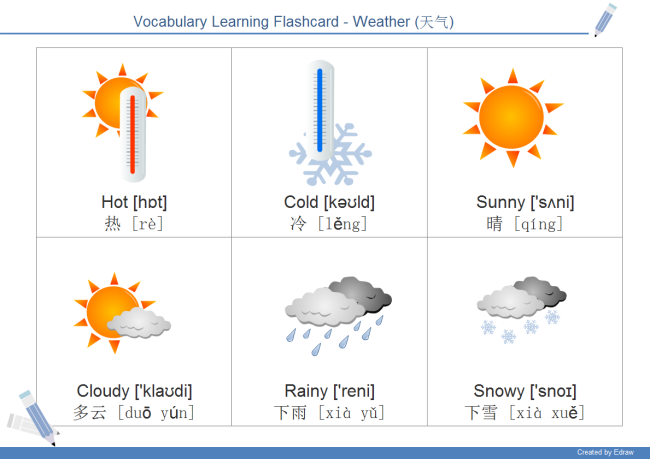 Description: Learn new words about weather in a fun flash card. Visual study aids like this flash card is very useful. You can gain more flash card examples about various topics, ranging from fruits to animals.